Request a recycling cart to start recycling! Or, if you are already recycling and need an additional cart, don't waste any time! 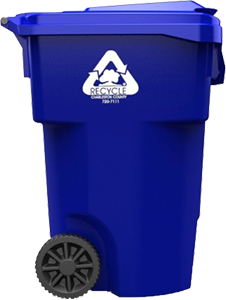 Single family homes along Charleston County Environmental Management's existing curbside collection routes are eligible to receive (1) 95-gallon recycling roll cart. Carts are serviced every two weeks. To determine whether your home is included on a curbside route, or to request to receive a 95-gallon roll cart, please complete the form below. Note, businesses, apartment complexes, and condominium complexes should NOT use this form. Charleston County Environmental Management offers recycling service for residents living in apartments and condominiums. Participating communities agree to designate an area for recycling containers on their property, in or next to their garbage enclosure area or in parking spaces close to garbage dumpsters. Recycling containers are serviced on a weekly basis. 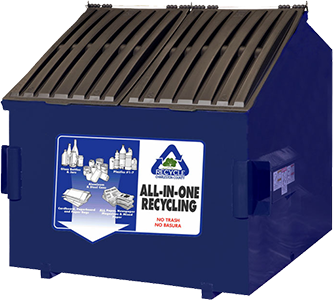 Based on the size of the complex and the space available, Charleston County Environmental Management can provide a number of 95-gallon recycling roll carts or a central dumpster (available in various sizes) for recycling. If your apartment or condominium complex does not currently recycle and you would like to start a recycling program, please ask your property manager to contact Charleston County Environmental Management at (843)720-7111. Charleston County Environmental Management's current Business Recycling Program offers a basic level of service supported by the County's Solid Waste User Fee. The program offers up to three 95-gallon recycling roll carts, which are serviced once a week. Your service day is dependent on your location. Many businesses are located along our service routes and can sign up to participate by contacting Charleston County Environmental Management at (843)720-7111. In addition to exterior 95-gallon recycling roll carts, Charleston County Environmental Management offers internal bins to aid in the collection of recyclables. To request interior bins, please contact Charleston County Environmental Management at (843)720-7111. 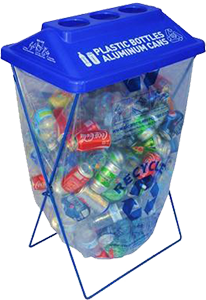 Charleston County Environmental Management offers the use of ClearStream® recycling bins for the collection of recyclables and food waste at special events. The County will loan the bins to community groups, nonprofit organizations, businesses and citizens who plan to collect recyclables and food waste generated at events held within Charleston County. Larger events (1,000+ attendees) should contact Charleston County Environmental Management (843)720-7111 to inquire about larger recycling dumpsters to collect recyclables generated during the event.